You’re invited to the Last Viking Returns book launch! Our new book The Last Viking Returns will be in bookshops from September 1, and we’re throwing a huge launch party to celebrate. 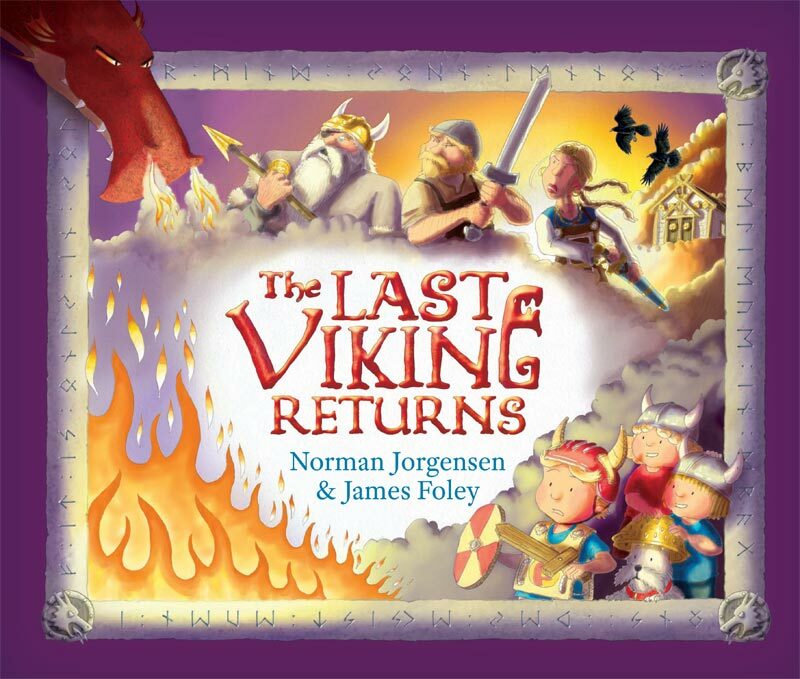 You’ll be able to see original artwork from the book, meet the author Norman Jorgensen and illustrator James Foley, and you might even meet some real Viking warriors. DRESS CODE: Leather, sheepskin and horned helmets. (You may be asked to leave your weaponry at the door). 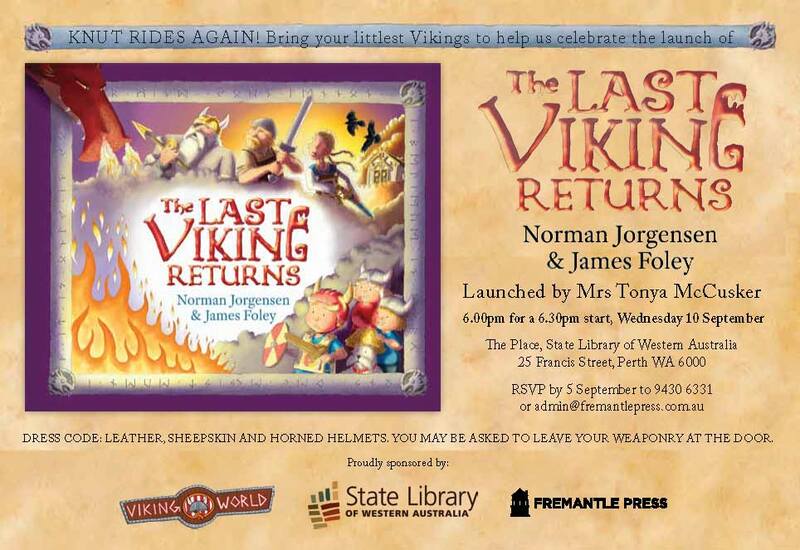 Categories: events, The Last Viking 2 | Tags: book launch, Fremantle Press, James Foley, Norman Jorgensen, State Library of WA, The Last Viking Returns | Permalink.